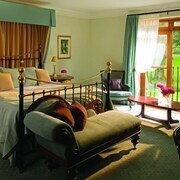 Situated in Caernarfon, this hotel is close to Caernarfon Airworld. Area attractions also include Caernarfon Castle and Gypsy Wood Park. 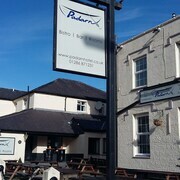 Everything you need... Exceptionally friendly welcome, and very accommodating. Where to find Caernarfon hotels near an airport? 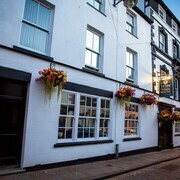 Where can I find hotels in Caernarfon that are near tourist attractions? 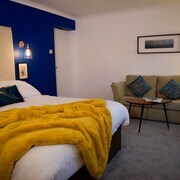 Seeking the best hotel options in Caernarfon? Caernarfon has 11 apartments and hotels within a 0.1-kilometre (0.06-mile) distance of the town center. There are a number of accommodations within a 10 kilometres (6 miles) radius, such as the Seiont Manor Hotel and Black Boy Inn. 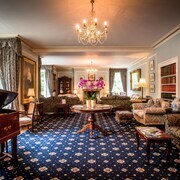 The Y Castell Hotel, The Royal Victoria Hotel and The Saracens Head Hotel are good hotel choices for vacationers chasing more economical accommodation. 20 kilometres (12 miles) away from the middle of Caernarfon, is the Château Rhianfa. 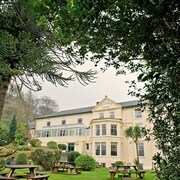 Alternatively, the Hotel Port Dinorwic is positioned 14 kilometres (8 miles) away. 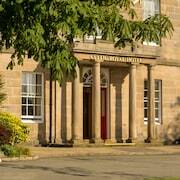 Other places to rest your head are the Tre-Ysgawen Hall and the Ty'n Rhos Country House. Llangollen is 70 kilometres (42 miles) to the east of Caernarfon and is where you'll find Valle Crucis Abbey and Llangollen Bridge. 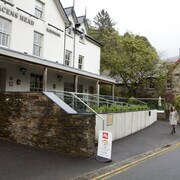 The Bridge End Hotel and Wild Pheasant Hotel are some of the hotel alternatives in Llangollen. 40 kilometres (25 miles) to the northeast of Caernarfon, you'll find Rhos on Sea, which is home to the Bryn Woodlands House and Ashmount Hotel. The Bryn Euryn Nature Reserve and St. John's Church are just some of the more popular points of interest to check out when you're in Rhos on Sea. Just because you're far from home, doesn't mean you can't indulge in your passion for sport. You will find Racecourse Ground 80 kilometres (50 miles) to the east of Caernarfon. For tourists who are keen on booking a bed nearby, make a reservation in the Ramada Plaza Wrexham or The Lemon Tree - Hotel. John Lennon Airport is located 95 kilometres (59 miles) away from Caernarfon. Visitors who wish to stay nearby, you can easily book a night at the Crowne Plaza Liverpool - John Lennon Airport or the Hampton by Hilton Liverpool John Lennon Airport. What are the most popular Caernarfon hotels? Are there hotels in other cities near Caernarfon? What other types of accommodations are available in Caernarfon? Explore Caernarfon with Expedia.ca’s Travel Guides to find the best flights, cars, holiday packages and more!